Want to save $110.00 - $650.00 on products you’re going to buy anyway? Want to buy the gift of youth for someone special this Holiday Season and save $330.00? Want to make an extra Bonus of $175.00 - $200.00 from packages people want anyway? 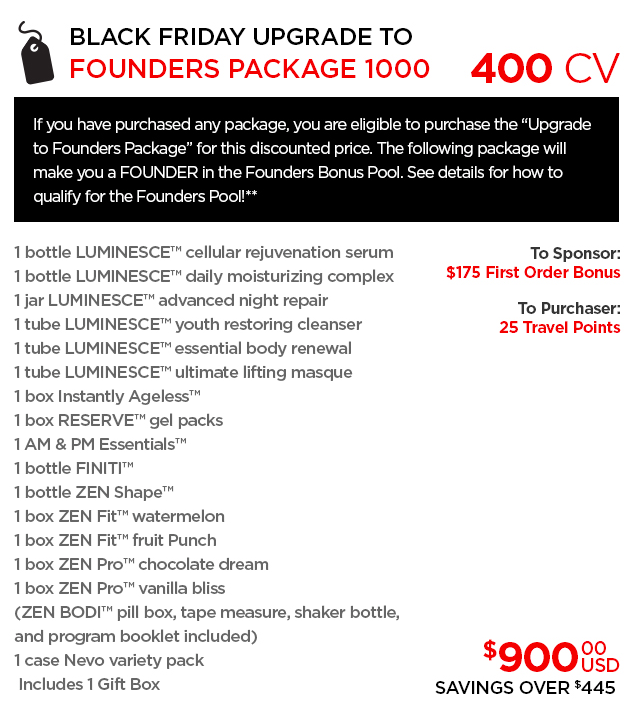 Want to share in 2% of the ENTIRE company sales by being in the Founders Pool??? 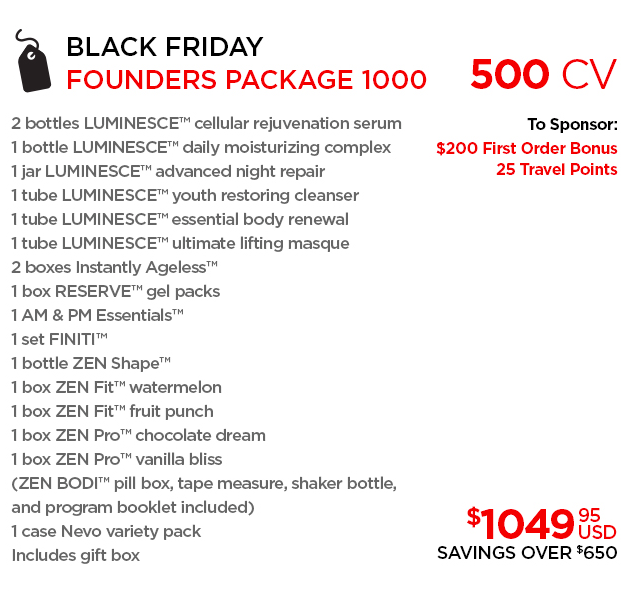 Product Packages and Founders Packages at this price are limited. See below for Founders Pool details. FOR MORE DETAILS ON HOW THE JEUNESSE FOUNDERS BONUS POOL WORKS, CLICK HERE.